Wholesale2B is dedicated to providing its members with connections to reliable and reputable whole sale partners that can drop ship products straight to your buyers. Before we welcome a new wholesaler to our circle, we check their background to ensure that they live up to our high standards of excellence. Although we already had over 100 wholesales offering over 1.5 million in-demand products, across hundreds of categories—we are always looking for more. On December 1, 2016, we welcomed 3 new wholesalers to our Wholesale2B inner circle! You can now access these new products directly from your wholesale2b account without the hassle of dealing with any suppliers. If you offer trending fashions and accessories in your online store, you now have close to 3,500 new products to choose from with CCWholesaleClothing. Offering you rock bottom prices on closeout clothing, lingerie, shoes, beauty products, and more! And if you are looking to add more figure-flattering, and on-trend plus size fashions to your website—CCWholesaleClothing has exactly what you need. ShenMart’s current selection of 355 products is small but mighty. Here you will find access to designer clothing and trending fashions at rock bottom prices. In the coming months, we expect to see their drop ship products grow to over 1,000 clothing, fashion, and accessories. They stock their local warehouses with international fashions, meaning you can offer your customers something truly unique. Leather never goes out of style, which is why we are excited to announce the addition of LeatherSkin! If you are looking to add timeless leather jackets, handbags, bracelets, and accessories to your product line—LeatherSkin has over 150 options to choose from—and counting. With our built-in, easy search features—you can search for new products to add to your store by wholesaler, best-sellers, by profit margins or by the specific items you want to add to your online store. And don’t forget that our wholesale partners update their inventory on a daily or weekly basis, meaning that you can (and should) always keep an eye out for new products as new products are added automatically. Wholesale2B is proud to welcome our 3 new wholesale partners! Please take a few minutes to browse their impressive product selections. You can find the links to these new suppliers from your wholesale2b dashboard page. Holiday is now fast approaching. For sure, many individuals are now starting to plan their shopping list. Even more importantly, they will definitely find the best store where to buy their valuable items and start placing orders soon so now is a great time to kick start your new online business. Whatever your online business is, whether it is for eBay, Amazon, or your own e-commerce website, you can make it as your independent money making engine during this holiday season. In this fast paced world, online technology has been a big part in the daily lifestyle of people of all ages having different walks of life. Furthermore, busy individuals do not have enough time to go to the malls to buy their gift items and prefer to use the internet to find and buy holiday gifts. With the help of Wholesale2b, you can get into the business of selling goods online very quickly and reach high degree of sales with your online business. To get started, head over to wholesale2b.com and signup for a free account. Then choose a dropship plan of your choice and start selling immediately. Holiday season is the right time for you to level up your online business. You just have to believe in yourself and you will surely meet your goals in the online business industry. Today we launched a new App for BigCommerce stores. BigCommerce is a major player for e-commerce stores so if you are using BigCommerce for your online store and you are loading dropship products to your store, then checkout our new App by clicking the banner below. This new App will help you load thousands of products to your store from over 100 different dropship supplier. The App also includes automated daily inventory updates to your store so you won’t have to manually import files, or keep checking for inventory changes. The App will always keep your BigCommerce store in synch with the suppliers. This App will even help you send orders to the suppliers with just 1 click so you can manage your products list, and your order fulfilment all from your wholesale2b.com account. It is official, the 2015 holiday sales numbers are in—and it has been a record breaking year here at Wholesale2B! • The total numbers of sales have increased by drastically. • And we have more new sellers now than ever before! We had many sellers open holiday dropship businesses, with the intention of taking advantage of the increased online holiday sales. However, after experiencing firsthand how easy it is to make money online—most sellers have reached out to say that they intend on keeping their dropship website, or eBay and Amazon stores open all year! Yes, the holiday season is the busiest time of year for most of Wholesale2B’s members—but that is not to say that they are not busy all year-round. As long as you keep your finger on the pulse of what your online shoppers want and need, your store can be a success all 12 months of the year! This means you must have a clearly defined target audience, and that you must stay on top of the trending seasonal and industry trends. Both of which are easy to learn! For example, if your dropship niche is for children under the age of 10—then yes, toys will be a hot item for the Christmas season. However, kids of this age are growing like weeds, so they always need new shoes and clothing. They are active in sports and other extracurricular activities, so gear and supplies are required all year-round. And don’t forget Halloween, back to school, or the summer season—when kids are in need of related treats, toys and gifts! But that is only one example! Pick a trending niche, a lesser known niche, or a niche you are well versed in. You can even pick more than one niche—and open multiple ecommerce websites. Even if your store only starts off with a few orders in sales each week, once you learn the ropes, the average dropship business owner works about an hour a day. But the good news is, that even as your sales increase—your time spent working only increases minimally. This is because we automate our systems, making it easy for you to load your website and store, and easy to submit your orders. The time you work each week can easily be broken up, for example 30 minutes in the morning, and 30 minutes in the evening. This time will be spent marketing your dropship business, adding unique content to your store, researching and uploading new products, answering client questions, and submitting order information. Since you aren’t responsible for any of the shipping, or even your occasional returns—you are able to work at whatever time of day or night works best for you. Still Not Sure What Dropshipping Is? There are quite a few misconceptions about dropshipping, so let’s walk through how it works. Generally speaking, dropshipping means that you sell products that wholesale suppliers keep stocked at their warehouses. This means that you can place their products on your dropship website, or in your eBay or Amazon store—but don’t have to keep anything in stock. Although you are buying from a wholesaler, you can sell as few as one item at a time! Once an order is placed, you pay your cost for the order—and you keep the profit. Your wholesaler takes care of all shipping, and will even email you shipping information. So What Makes Wholesale2B Different? While you can certainly research wholesalers on your own, this is an exhaustive and time consuming process. Not only that, but there are, unfortunately, many wholesalers you want to avoid. Either they don’t keep their products in stock, they don’t communicate well, or they are not speedy with shipping. This is why you need Wholesale2B! • At Wholesale2B we source the wholesalers for you, and we only work with reputable wholesalers. • We have over 1 million wholesale products available to sell in your store. • You can sell these dropship products at any price you like, but you always have access to rock-bottom wholesale pricing. • You can sell products on your own ecommerce website, or push products directly to online marketplaces such as eBay or Amazon or Bonanza and more. 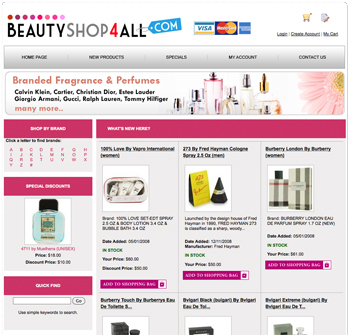 • You can add or remove products any time you like, and can sell in as many product categories as you wish. 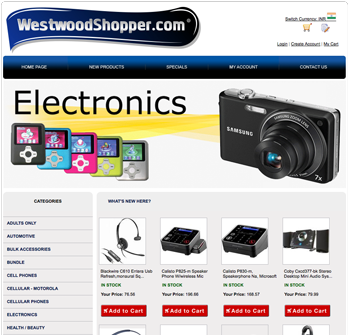 • You can build your own website, or purchase our dropship website membership plan. At Wholesale2B we have 4 versatile membership plans to choose from—so pick the one that works best for you! Start The New Year Off Right By Launching An Online Business! Launching a dropship business is fast and easy, and requires minimal startup capital. In fact, you can get up and running by the end of day—with less than $100 to start! If one of your New Year’s Resolutions is to pay off your debt, regain financial freedom, or finally launch the online business you have been dreaming of—then Wholesale2B is exactly what you need!